AshLee Frazier and Brad Womack Are Dating! Who says you can’t find love on The Bachelor? Two of the hit ABC show’s former contestants AshLee Frazier, fresh off the most recent season of The Bachelor, and Brad Womack, who dumped fiancee Emily Maynard weeks after proposing back in March 2011 are now dating. The pair first met at an event in Texas, and have been happily hanging out ever since, according to an insider. Frazier, 32, even posted a photo of the pair hugging on her Instagram earlier this week. “Game day. Who’s the real winner here? 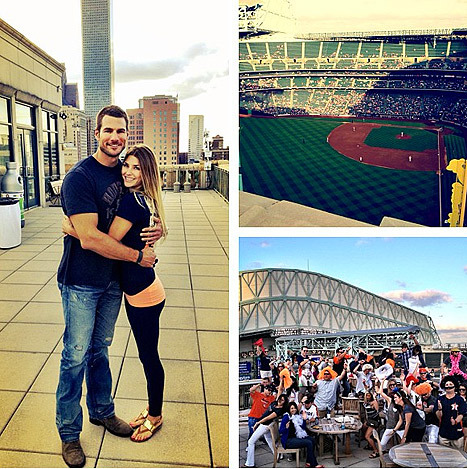 #Astros #twoTexaskids #wgt,” she captioned the shot. Fans immediately responded, asking Frazier if she and Womack were an item.